December edition of The Redeem Christian Church of God Let’s Go-A-Fishing is around the corner. 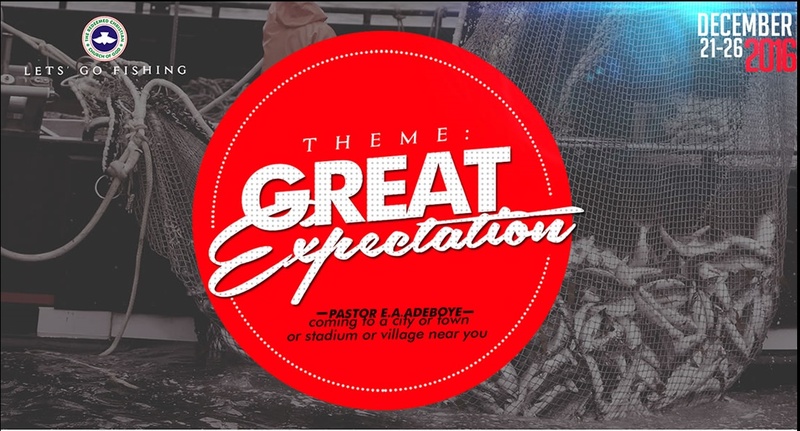 The theme for this year’s December Let’s Go-A-Fishing is GREAT EXPECTATIONS. The event will commence in all RCCG Parishes around the world on the 21th to 26th of December, 2016. Do you have great expectation that is yet to be met? Are you looking on to God for a miracle as the year winds down? 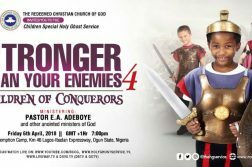 Take the advantage of meeting the General Overseer of The Redeem Christian Church of God, Pastor E A Adeboye, as he comes to a city or town or Stadium near you. 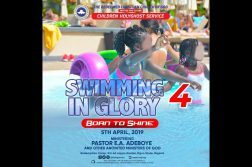 Check with any RCCG Parish near you to know when Pastor E A Adeboye will coming to your area. Previous ArticleAre You Interested in Supporting RCCG New Auditorium Project?